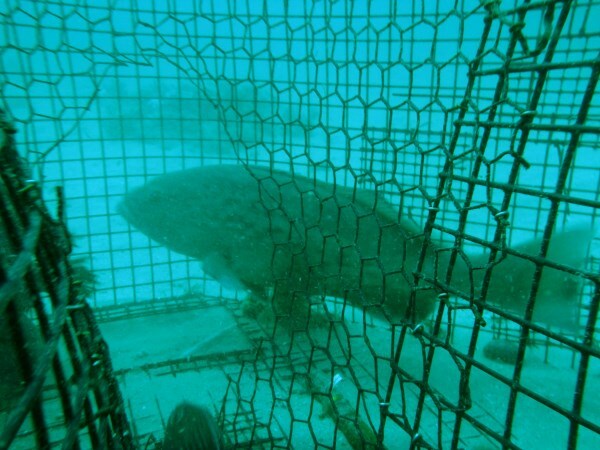 Without the cage you wouldn't stand a chance swimming with a massive saltwater crocodile. 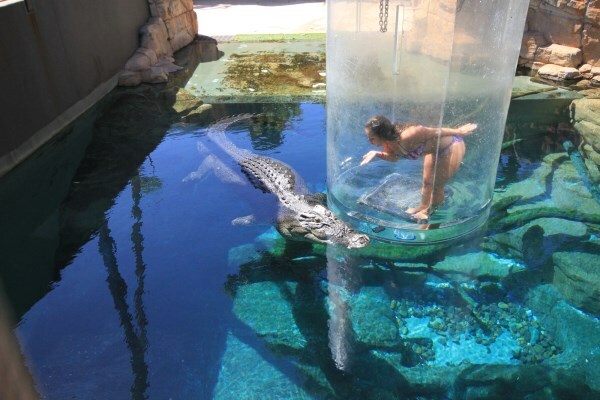 But for brave punters who still want to get cozy with a feisty croc, a new Australian tourist attraction, the Crocosaurus Cove, is offering the chance for a close encounter in the safety of a clear acrylic box dubbed the "cage of death." Just 4 cm. 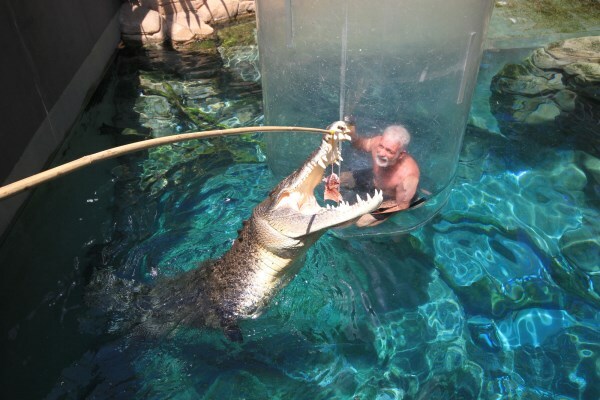 of acrylic, a pair of goggles and a swimsuit will separate thrill-seekers from the jaws of Choppa, a saltwater crocodile. 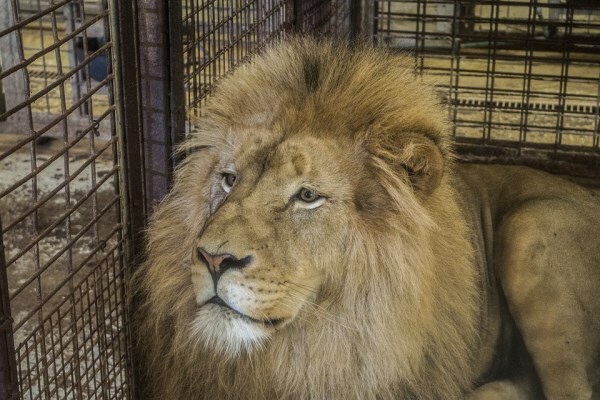 Mobile cage to see lions. This is the terrifying moment when a wildlife cameraman comes face-to-face with a deadly 1,000 lb. polar bear looking for its next meal. The hungry eight-foot predator repeatedly attacks the safety perspex box-on-ice equivalent of a shark cage housing helpless Gordon Buchanan. Filmmaker Mr. Buchanan shows nerves of steel as he endures the lethal polar bear's 40-minute sustained assault as it desperately hunts for a weak spot in his protective pod. "It is the most difficult thing I have done and the scariest. I've not been terrified for 40 minutes before." 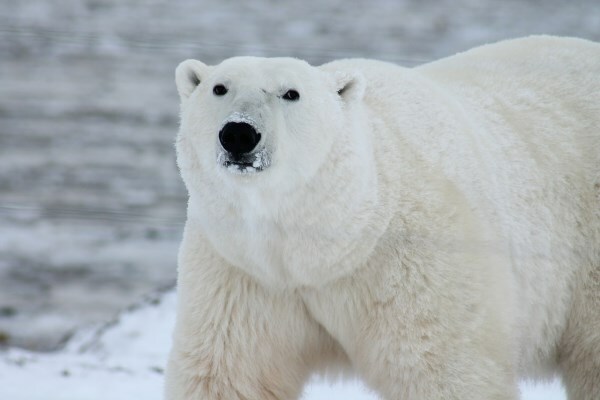 The Scottish wildlife expert filmed the fascinating creature in Svalbard, in the northern-most region of Arctic Norway, for his three-part BBC series The Polar Bear Family and Me. 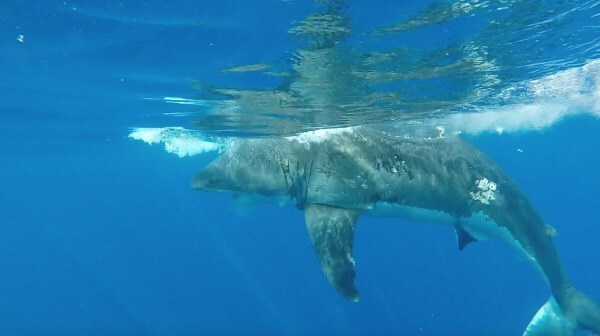 This diver stares into the jaws of death as he fends off a Great White shark by pushing its snout and then putting his hand in its mouth. 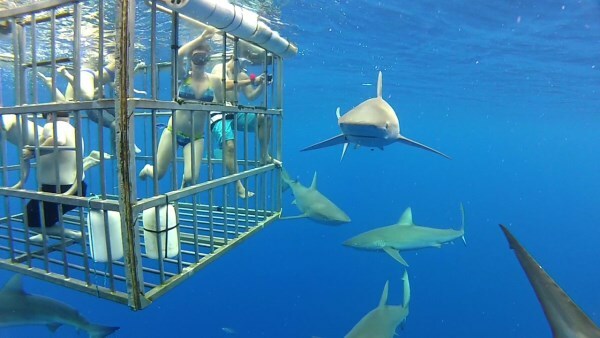 These amazing pictures, taken from a nearby cage, were taken off Guadeloupe Island, Mexico by Don Carpenter. Another attraction to see salt crocodiles, this time in a cage with bars instead of acrylic. The four passengers in the jeep must feel a whisker away from death as a lion jumps up on to their bonnet for lunch. But that's all part of the attraction. 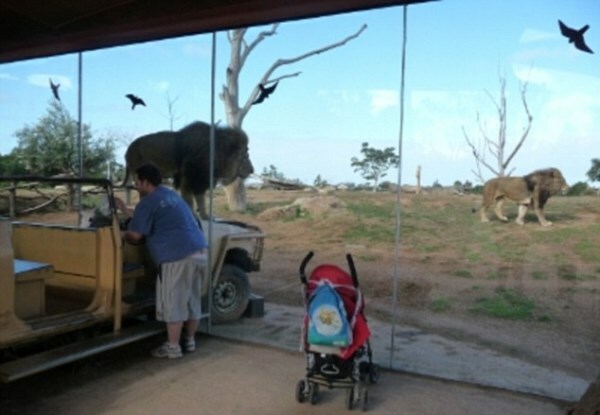 The jeep is a new zoo exhibit which allows visitors to get incredibly close to the lions. The back part of the vehicle, up to where the windscreen should be, is actually on the outside of the reinforced glass cage. The bonnet is on the inside and covered with meat to entice the big cats to come closer. 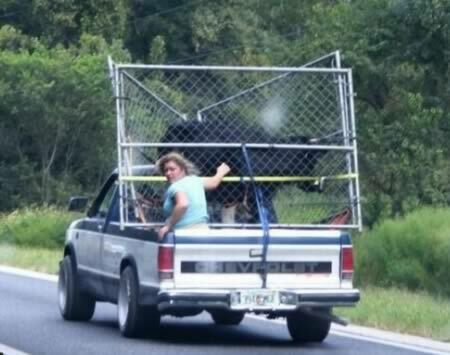 Redneck death cage… with a bull. Very stupid. It looks like feeding time, but it's just another image from the amazing attraction Crocosaurus Cove. 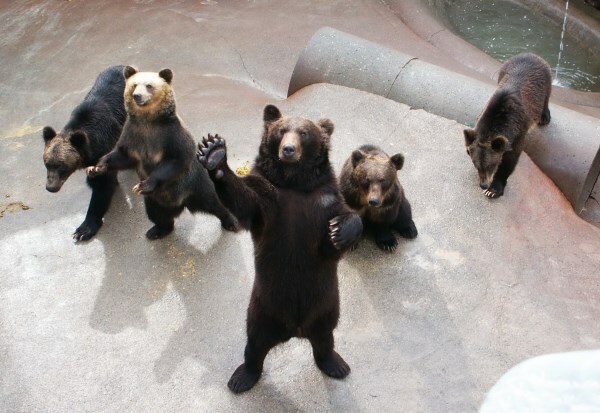 About 200 brown bears are raised at the Bear Farm at the Noboribetsu Bear Park on the summit of Mt. Shihorei to the east of Noboribetsu Hot Spring. The bears are separated by age. There is a "cage for humans" in the first farm, where observation from the viewpoint of bears is possible.